This is a short post on vegetable broth. It’s a simple, basic recipe that you should include in your cooking repertoire. It has a variety of uses, i.e. soups, sauces, braises, etc., and is a nice way to clean out vegetables in your fridge or freezer. We’re doing this post because of the following soup, Roasted Cauliflower Bisque. 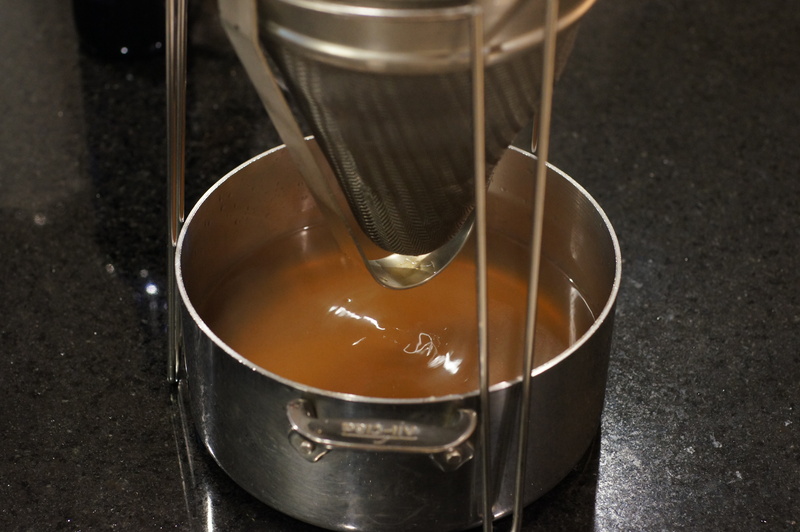 The vegetable broth forms the liquid base for the bisque. Because of its versatility and uses in other recipes, we decided it should have its own separate post. So, it does. Vegetable broth is a very easy soup base to make and consists of essentially whatever vegetables you have around your house. If you’re like us, we try not to throw out food stuffs. For instance, when I use mushroom caps, I always save and freeze the stems. The stems have great flavor. In the case of shiitake mushrooms, the stems are so tough they are inedible yet the wonderful flavor of the mushroom is still present. Since you cannot eat it, you might as well save it for either vegetable broth of a wild mushroom consommé. We also save the tops of carrots, etc. Every now and then we need to make a vegetable broth just to clear out fridge/freezer space. 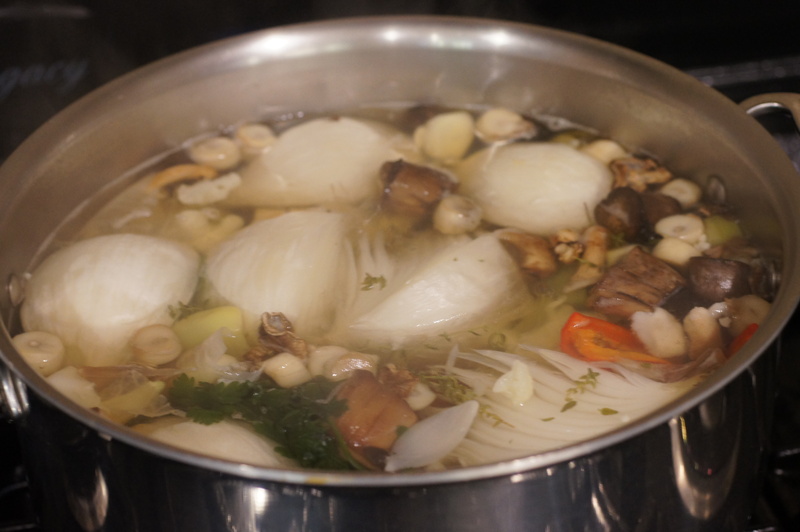 As a result, the vegetable broth varies but is always good. 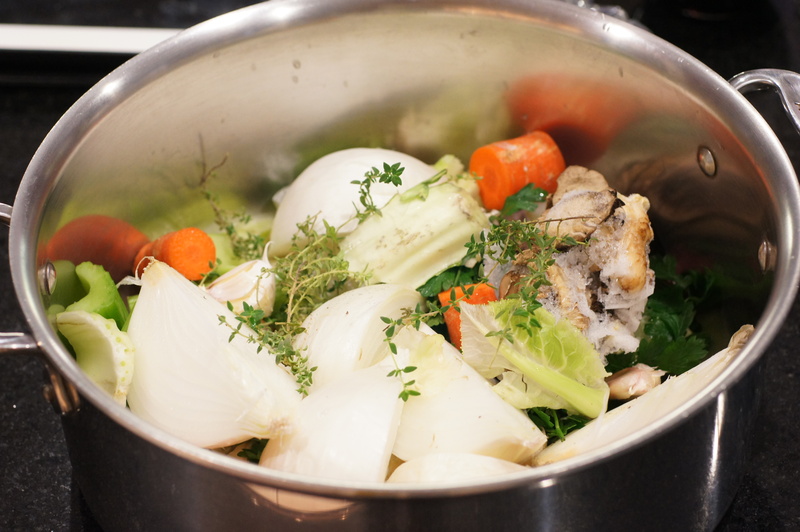 This recipe, therefore, is a guide for you when you want to or need to make a vegetable broth. It makes roughly 5 – 6 cups of very rich broth. Place vegetables in a large pot/dutch oven. Set pot over heat on high fame and bring to a boil. Reduce heat to a simmer and simmer for 1-1/2 hours or until you have coaxed the flavor out of the vegetables to your taste. When done, strain and store. 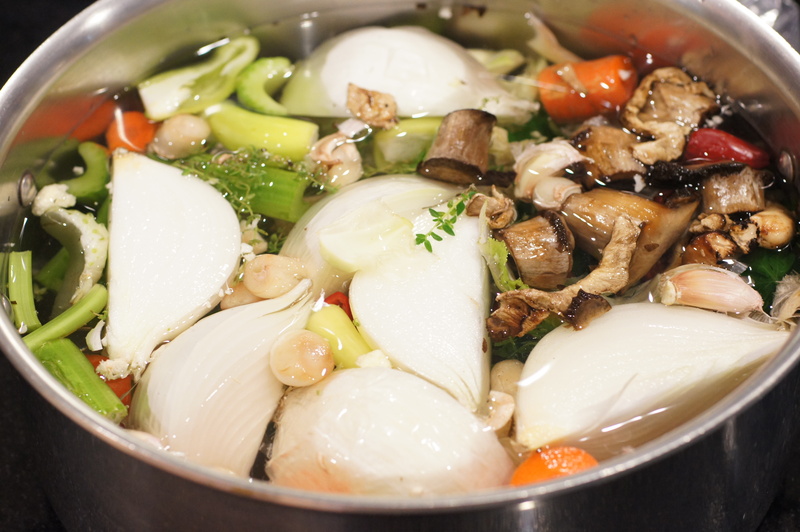 Vegetable broth will keep in your fridge for 5 days and up to 6 months in your freezer. Important basis for many dishes indeed. And finally a post without chiles 😉 I’ve never used bell pepper in veg stock before, but I should since there are always lots of trimmings. Hi, Barbara. I got behind on comments and am trying to find the ones I missed. Sorry. 😦 The chinois is a fabulous tool. It works great for stocks, broths and soups like the Luscious Creamy Corn and Crab Soup. I also use it when I make homemade hot sauce to strain out the very fine chile particulates. I use mine frequently. Once you start using yours, you will find it’s indispensable. No worries.. I’m not in a rush, but now will make a point of getting it out and using it! Thanks! !